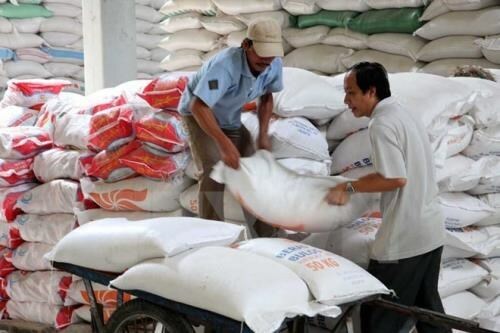 Hanoi (VNA) – The rice export value of Laos in the first six months of 2017 dropped 42 percent compared to the same period last year, according to the country’s Ministry of Industry and Commerce. Laos earned 11.2 million USD from rice exports from January to June, lower than the figure of 19.4 million USD in the same period last year. Its main importers were Vietnam, Thailand and China, reported China’s Xinhua News Agency. According to the Lao Ministry of Agriculture and Forestry, Laos exports about 300,000 tonnes of rice annually. The ministry expects to export 400,000 tonnes this year and hopes the figure will climb to 1 million tonnes by 2020. The focus will be kaynoi (Lao specialty rice) and fragrant rice while new improved varieties such as thadokkham, tasano, phonngam and hom are also in demand. The Laos government also aims to produce 5 million tonnes of paddy rice by 2020 to ensure food security in the country. However, rice farmers in Laos need to improve production at various stages to achieve standards required for export, including the field environment, technical systems, machines, and certification. Rice producers in the Southeast Asian country have tried to improve the quality of their products and techniques using new technology, but are still struggling to secure markets. Some farmers have switched to growing other crops worth more than rice.